Now in its sixth year and at its fourth venue! 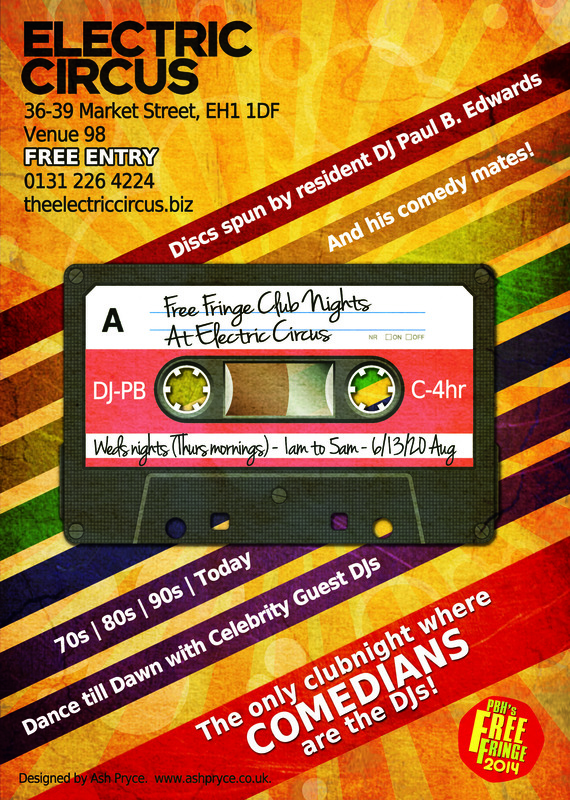 This is one of the best free compilation shows at the fringe with incredible line ups and this year is no exception. 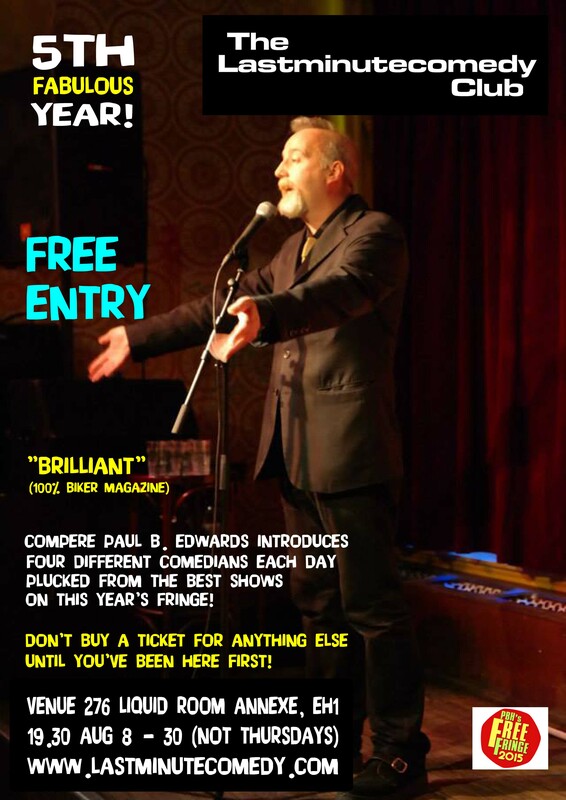 Regular appearances from Christian Reilly, Steve Gribbin, Howard Read, Gavin Webster, Eddie Brimson, Geoff Norcott, Mandy Knight and overseas stars like Kaitlyn Rogers and Al Lubel – Plus many more! 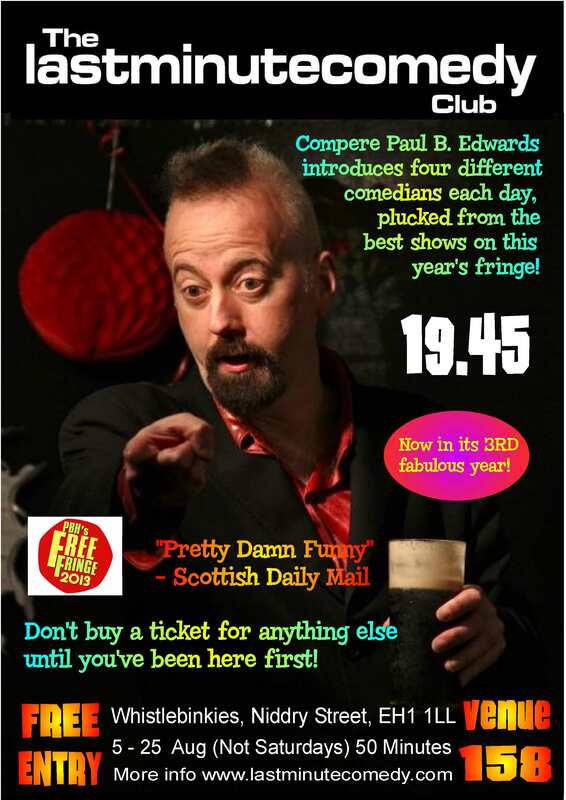 Line ups change daily and the odd star will no doubt drop in to do a bit as well… 5.30pm Bar Bados Room 1 (Not 14th & 21st). Pauly & Mandy’s Mid Laugh Crisis! Take two circuit veterans, put them together in a room, give them a guest a day from the golden era of alternative comedy and what do you get? THREE PEOPLE MOANING. WITH PUNCHLINES – probably more punchlines than you’ll get at any other mixed bill show and something to put today’s new breed of Johnny Come Latelys firmly in their place. 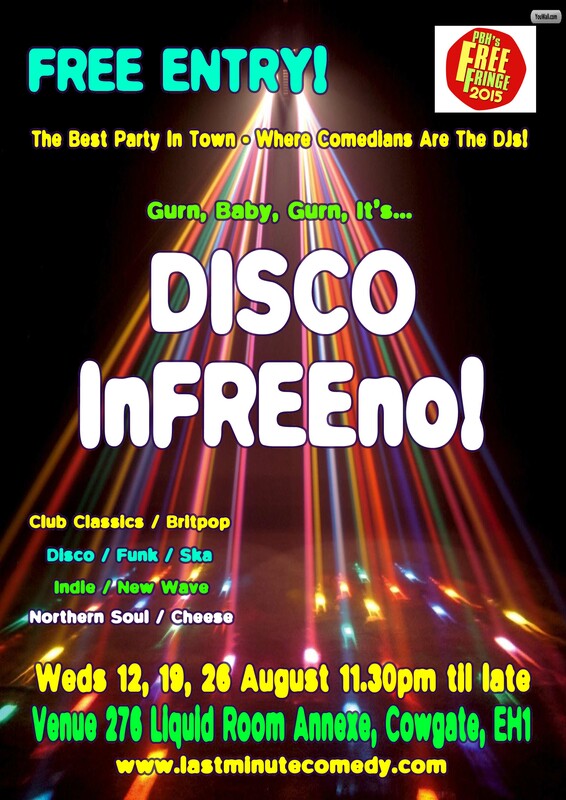 7.30pm every day (except 14th & 21st) at Waverley Bar on St. Mary Street – a pub for old people just off the Royal Mile. Four different strings to my bow again! I’m just not learning, am I? 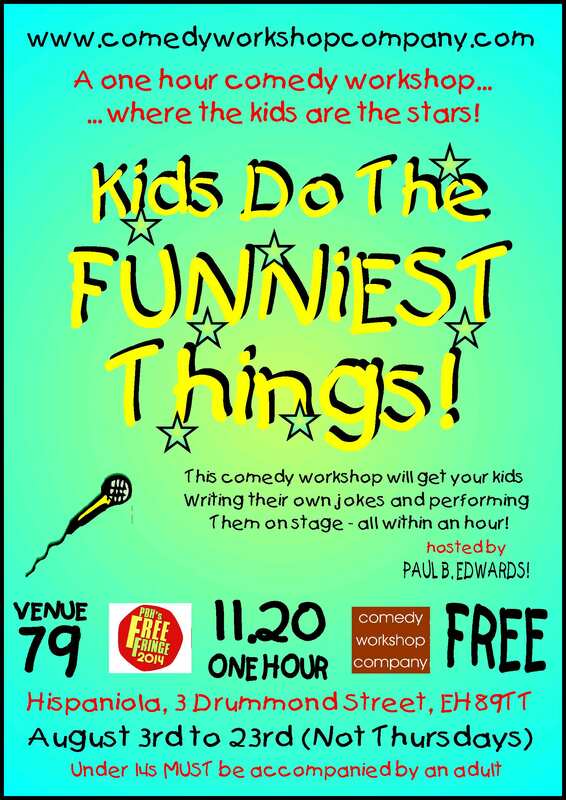 I’m starting the day at Hispaniola with a kids comedy workshop at 11.20am. I love doing workshops with kids and it’ll be great fun – every participant also gets a badge and a certificate! 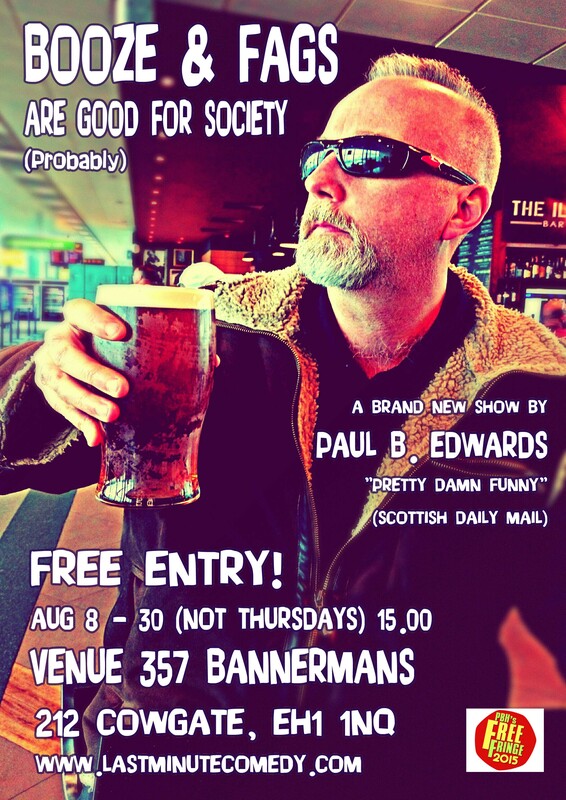 This year’s solo show in Bannermans at 4.15pm is a comedy lecture, really – and it’s deeply flawed. Don’t expect any revelations about the battle of Agincourt, but do expect Jose Mourinho, Scottish Independence and the A31! 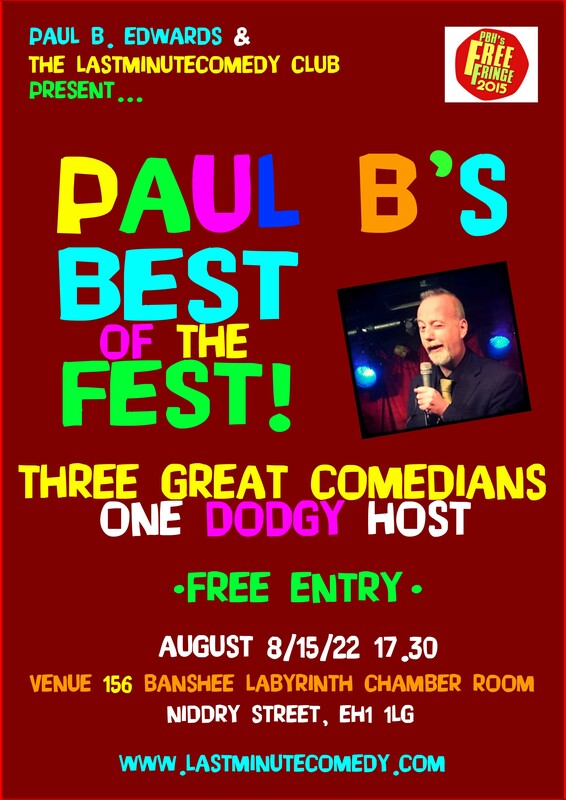 My annual compilation show featuring four different great acts each day returns to WhistleBinkies for a third consecutive year (and fourth year in total – we were at another venue in 2011). 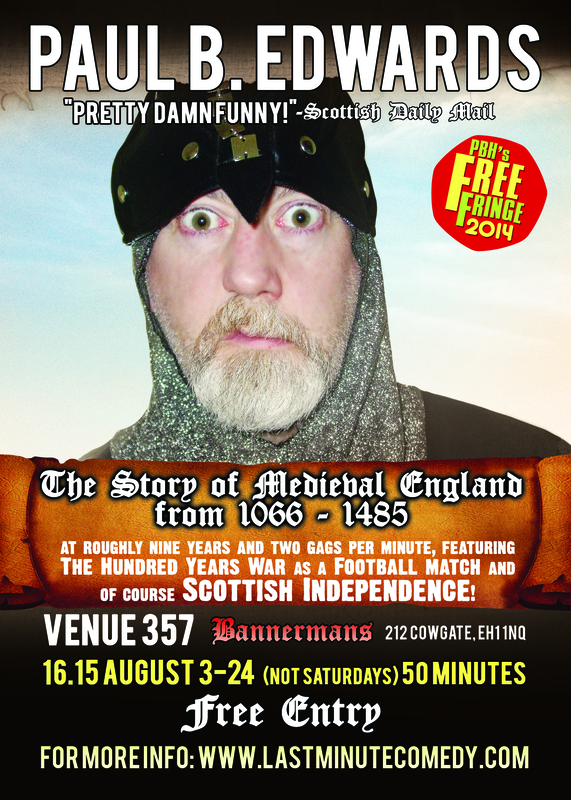 So here we are again with another two shows at this year’s Edinburgh Fringe! This is not the show I had planned but basically I totally messed up – all my own fault and this is the result. It’s a look back on my gloriously stupid muck ups of the last year, with routines and songs to accompany them. 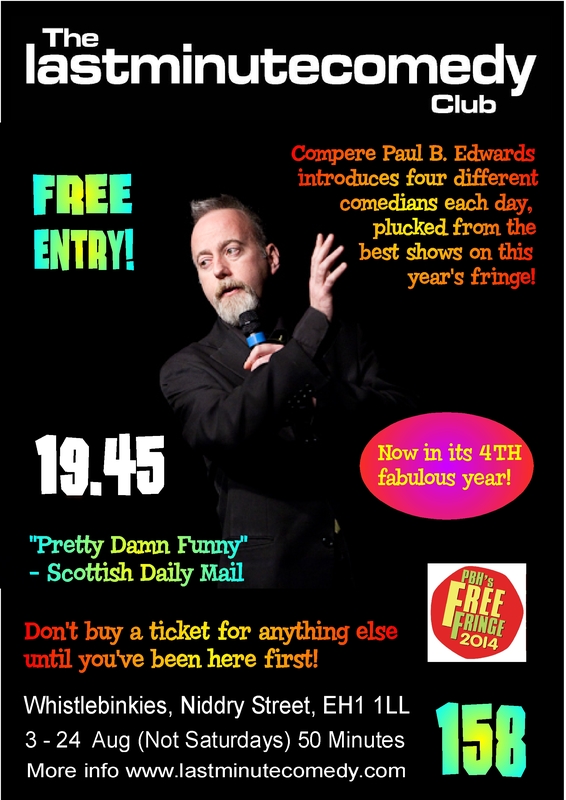 It’s free to get in but please do drop a couple of quid in the bucket on the way out as it helps to pay for me to be up there! For the third year running I’m hosting a “compilation” show in The Burgh and as usual it features four different comedians each night performing short sets to showcase their own shows. It’s also free to get in but contributions are welcome on the way out! Thanks for taking the time to read this and I hope to see you up there – come and say Hi, even if you just bump onto me on the street (it’s likely! ).